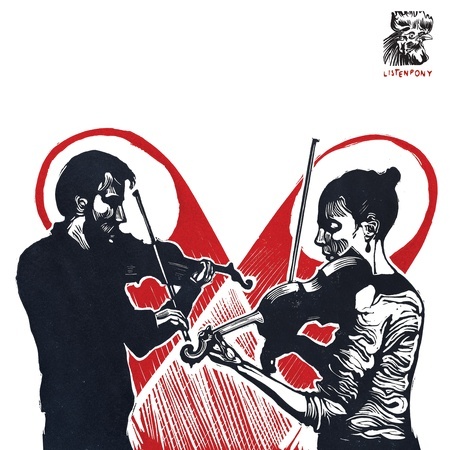 Young, vibrant and new-music devoted violin duet Mainly Two perform a selection of Prokofiev, Bartok, and the premiere recordings of new commissions by Dani Howard and Lawrence Dunn. Tracks recorded live at Listenpony, London, March 2016. Mainly Two is formed of violinists Marie Schreer and John Garner, who came together to foster the creation of new work for two violins. Since forming the duet in 2014 they've built up a repertoire of over 20 new works written especially for them. Their fantastic premiere performances of Dani’s and Lawrence’s accompany excerpts from Prokofiev’s Sonata for Two Violins and Bartok’s 44 Duos for Two Violins.